At some point last year I was driving downtown in Seattle and I realized that the Space Needle had changed. 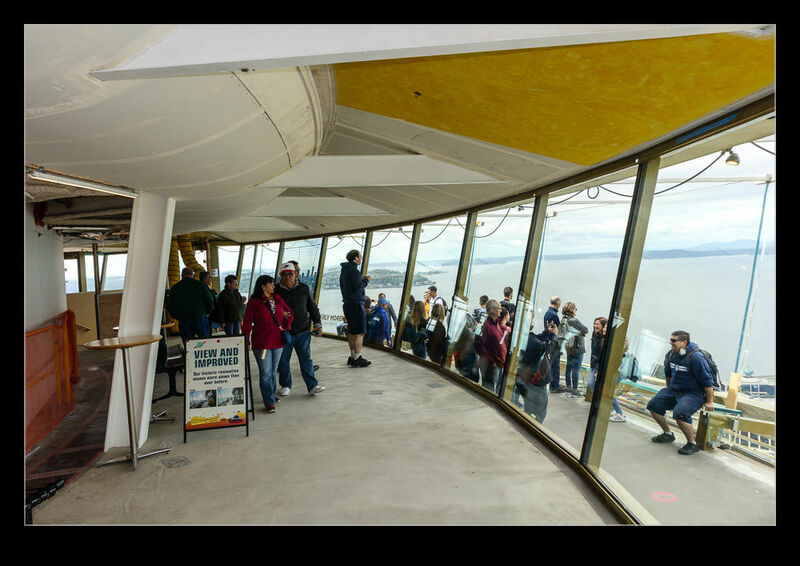 A scaffolding arrangement had gone up around the saucer at the top of the needle and it seemed to be fully enclosed. I figured that a rehab program was underway but I guess I don’t see enough of the local news to have found out how much they were updating. With my mum coming to visit, I was hoping that they would have concluded the project before she came since a Space Needle visit was going to be on the cards. Memorial Day must have been the target for getting things ready because, shortly before she arrived, things started getting opened up around the top. Part of the scaffolding was still there but it was getting a lot more open. I thought we would be in good shape. It turns out we were but they are certainly not yet finished. 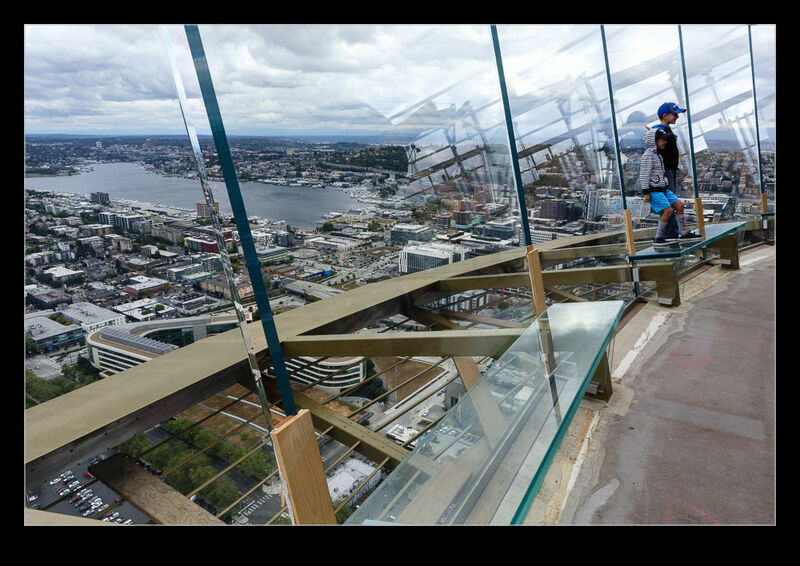 The wire fencing at the deck level has been replaced with glass screens. These lean out so you can look straight down. 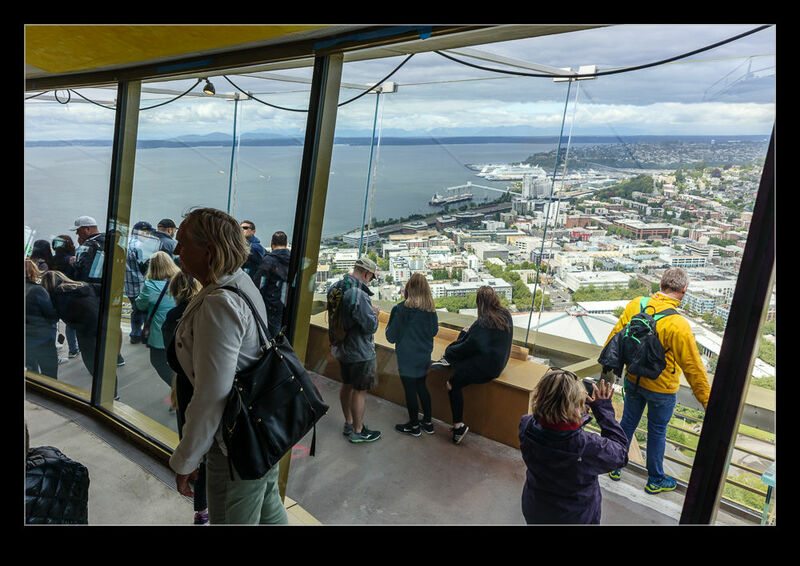 There are glass benches which means you can lean back on the glass – something that certainly seems to upset a few visitors. Meanwhile, construction work continues. The level inside the viewing deck is still undergoing a lot of work. The restaurant downstairs is not yet open but I assume these will all get sorted out as summer progresses. I was a little worried that the glass screens would impede photography. The old wire fence provided clear access. However, there are gaps between the panels that you can shoot through. A big lens might not fit but my mirrorless did fine. We shall have more visitors so I will get to see how the whole thing looks when it is finished I suspect. 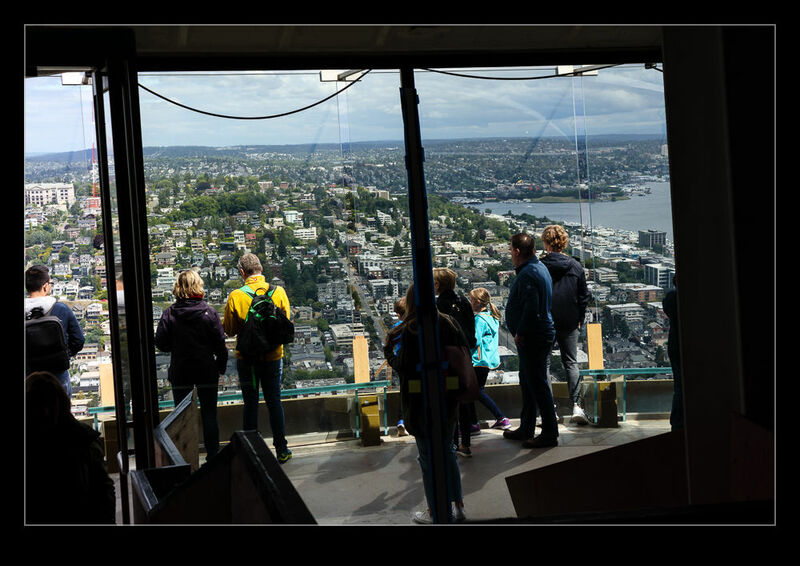 This entry was posted in Pacific Northwest, photo and tagged attraction, photo, refurbishment, rehabilitation, seattle, space needle, tourist, washington. Bookmark the permalink.